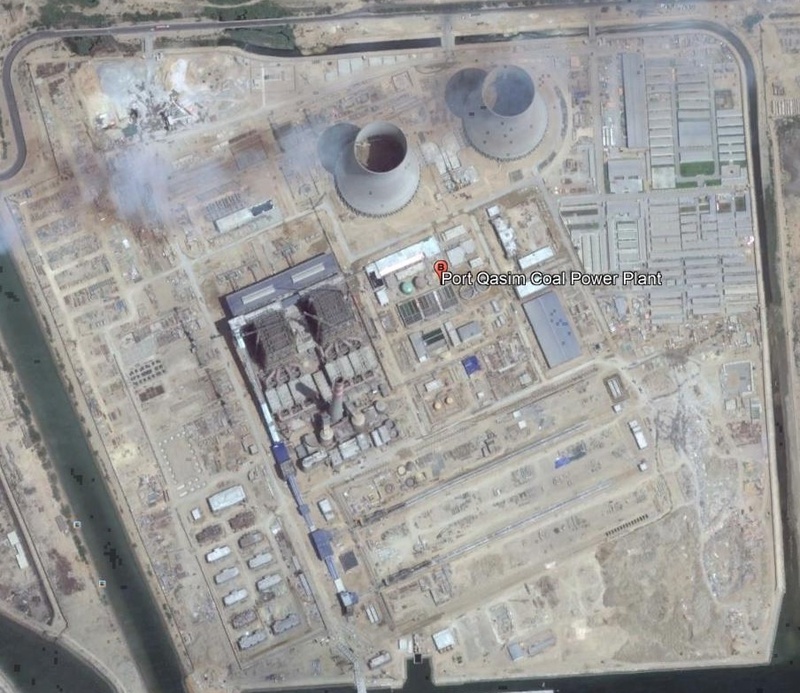 First Unit of 1320 megawatt coal power plant, jointly developed by Power China Resources Ltd. and AMC from Qatar and the first large-scale energy project under CPEC, was inaugurated by Prime Minister Shahid Khaqan Abbasi at a ceremony at Port Qasim on Wednesday. Addressing the ceremony, Prime Minister Shahid Khaqan Abbasi said that the completion of Unit One is a milestone and a symbol of Pakistan-China friendship. The Prime Minister said that the plant has been completed at a cost of 2 billion dollars in a record of time of 30 months which is ahead of its scheduled time. He added that the second unit of the plant will also be completed early and will be functional in February next year. He made an odd claim that Port Qasim plant is producing cheap electricity and is “the most environment friendly power plant in the country”. CPEC will play a vital role in the economic development and progress of Pakistan. He added that projects completed under CPEC will provide job opportunities to thousands of unemployed youth of the country. Khaqan Abbasi stated that Port Qasim power plant is the first project that has been completed under CPEC. He said that besides this, a number of projects in LNG sector have been initiated. The Prime Minister said that the next general elections will be held in 2018. He said that democracy is the only choice for Pakistan to ensure stability, progress and prosperity. Shahid Khaqan Abbasi said the government believes in the freedom of information and expression and there there are no curbs on print and electronic media. He said that the state institutions have successfully defeated terrorism in the country and that all institutions are united in their resolve to uproot terrorism from the country. Abbasi said it was honour for the PMLN government that it is inaugurating the projects it started compared to several projects that were in progress in the tenure of several past governments and still couldn’t be completed. He said we are committed to CPEC and are working on several other projects worth billions of dollars in Gwadar and other parts of the country. Addressing the ceremony, Chairman of Power China Resources Limited Mr. Yan Xhiyong said the grand CPEC project will certainly play a positive role in advancing economic and social progress in Pakistan and in the region. As a Global Fortune 500 company and a Chinese state-owned enterprise, Power Construction Corporation of China (“POWERCHINA”) enjoys unique competitive edge of experience in water and power, expertise on planning and engineering, strength on construction and installation, and ability on investment and operation, which has equipped itself to actively undertake many on-going CPEC projects. Since the commencement of massive construction in May 2015, the project has been gaining the highest attention and strongest support from the governments of Pakistan and China. With close cooperation with PPIB, NTDC, CPPA and other stakeholders, relying on the ample international operation management expertise, POWERCHINA successfully built a technologically advanced power plant on a literally barren plot of sea shoal within only 30 months. On November 10, 2017, the first unit synchronization was successfully achieved 50 days ahead of schedule. The success of the project has profoundly reflected the increasingly strengthened all-weather strategic cooperative partnership between China and Pakistan. Chinese Ambassador to Pakistan Yau Jing, said that successful landing of the Port Qasim project will benefit the people of both countries. Minister Power Division, Awais Leghari, said that government is committed to end the loadshedding and now it has enough energy to meet the power crises. He added that federal and provincial governments are working to develop National Electricity Plan which will help to consumers protect their rights. More CO2 to damage environment. Agreed with Mr. Wasiq, it should be built https://uploads.disquscdn.com/images/1653b1daa4358a9f0d5be113146e1fd67d2174b38c73d81bcec6d3b31008b7eb.jpg more far from City like near Kety Bunder where sea water is also available for coolant….